Thanks to Simon Cavaillés and the team of Ligue pour la Protection des Oiseaux (LPO) Isère for providing a photo and account of the LPO find, during a birdwatching tour of Senegal in late January, of Senegal’s second cinereous vulture Aegypius monachus, following the first record reported in the Bulletin of the African Bird Club in 2007. I copy the note below. 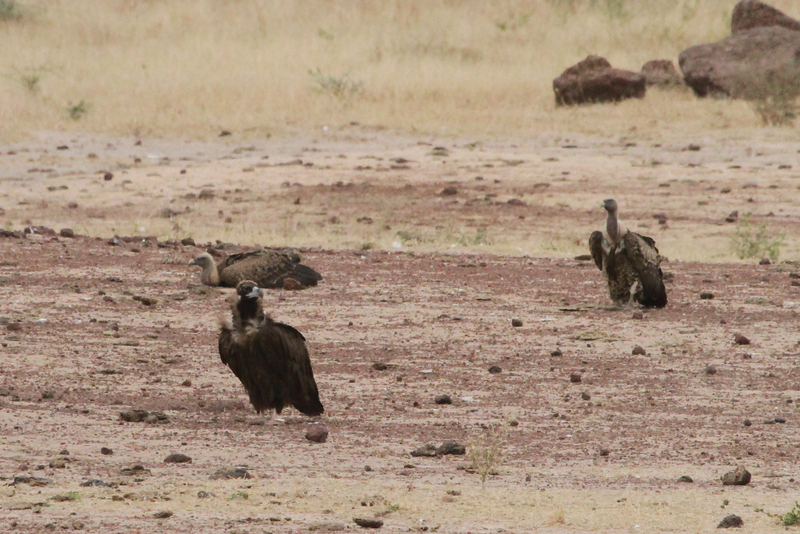 The bird was with a hundred or so other large vultures at a carcass: mostly Ruppell’s and African white-backed, but also lappet-faced and Eurasian griffon. Observation d’un vautour moine au Sénégal. 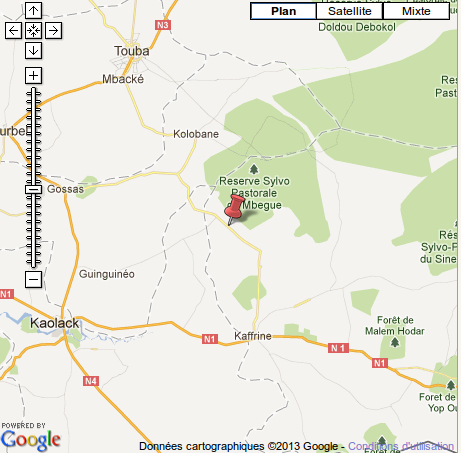 Dans le cadre du premier voyage Sénégal organisé par la LPO Isère, nous avons observé le 23 janvier un groupe d’une centaine de vautours à moins d’un kilomètre au sud du village de Tiom sur la R60 (entre Kolobane et Kaffrine). A 100m à l’est de la route un cadavre de zébu et à 50m à l’ouest une petite mare où venaient se laver et se sécher les vautours. Parmi ces vautours se trouvaient une majorité de Vautours de Rueppel et de Vautours à dos blanc mais aussi des Vautour fauve, 4 Vautours oricou et un Vautour moine immature (voir photo L.Puch). Un des vautours fauve était bagué couleur : patte droite, jaune CX8. Bague métal et marquage alaire pas visibles. Occupés par le vautour moine et les oricoux nous n’avons pas âgé l’individu. La recherche du bagueur est en cours. L.Majorel, L.Puch &al, LPO Isère. The sighting was 60km north-east of Kaolack, in the southern part of the West Central Agricultural Region, traditionally described as the most altered of Senegal’s eco-regions from centuries of agricultural expansion. However, the US Geological Services’ Gray Tappan writes that this expansion peaked in the 1980s and there is now increasingly “unplanned fallow” as the population drifts into the main cities. This may have little effect on what appears to be the best region in Senegal north of Gambia for vultures, but recently abandoned land could account for the huge numbers of large insectivores (notably lesser kestrel, swallow-tailed kite, Montagu’s harrier and white stork) in the area in recent years. There is on-going research into birds and agricultural change in this southern zone, which is well worth inclusion in a birding tour, despite is rather blasted, prairie landscape in places. As for the cinereous vulture, although its global decline, especially in Asia, has put it on the IUCN Red List as Near Threatened, the population in Spain is on the increase and one could imagine this bird tagging along with the commoner European griffon vulture, which is also on the increase in Spain and as a trans Saharan migrant to Senegal.